This masquerade feather eye mask is made out of our signature hand molded plastic. Beautifully hand designed with glitter accents. Easy to wear with adjustable black ribbon ties. 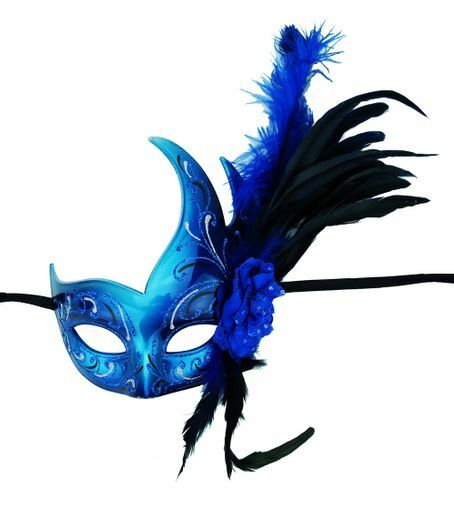 Color of mask is blue.